Learn about the different categories of boots. What do we mean by Technical Frontside, All-Mountain Traditionalist, All-Mountain Adventure, and Backcountry? Keep reading to find out! 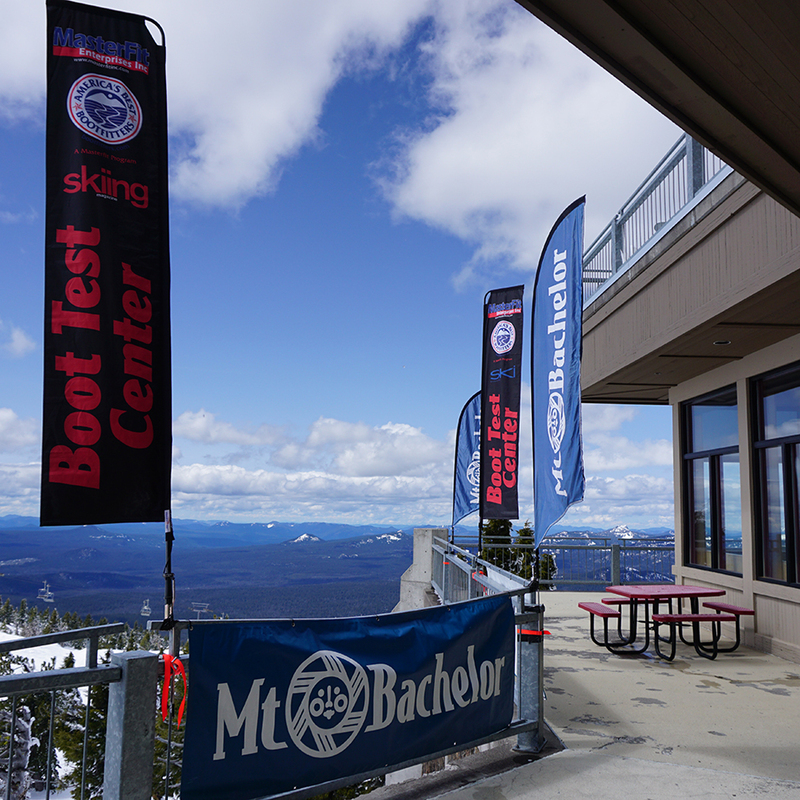 For serious skiers. Hard charging, technically skilled athletes who come from a racing, coaching or instruction background or have managed to achieve a high skills level without those wasted years (bravo!). These boots are not cushy, even when custom fit and modified to the max. They are tight like a boot is meant to be. They are stiff like you have a man-shin (or are willing to develop one). 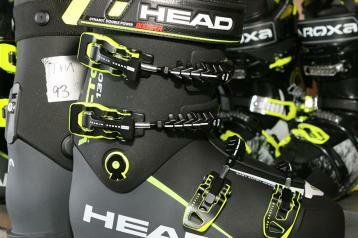 They dutifully transmit every movement to the ski (and back at you when you make a mistake). 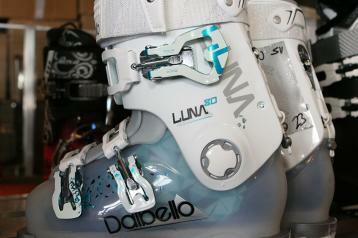 They are straight-up designed for skiing glory. Soft, gentrified hacks looking for easier entry will whine; these boots are usually a bit more difficult on and off. 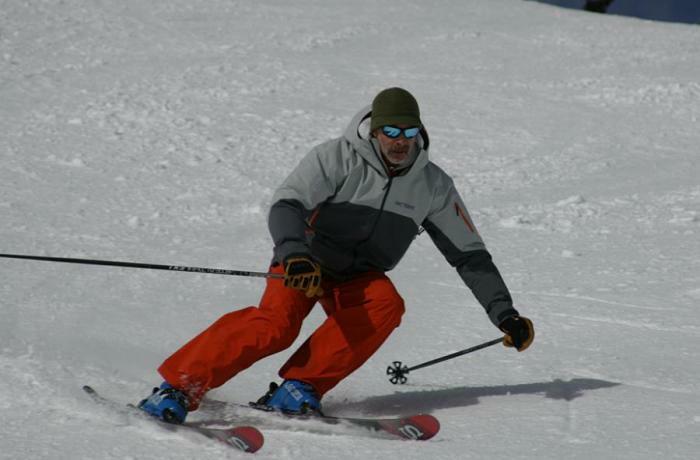 These boots are best used on smoother surfaces at speed, but can be dominant all over the mountain with the right pilot. 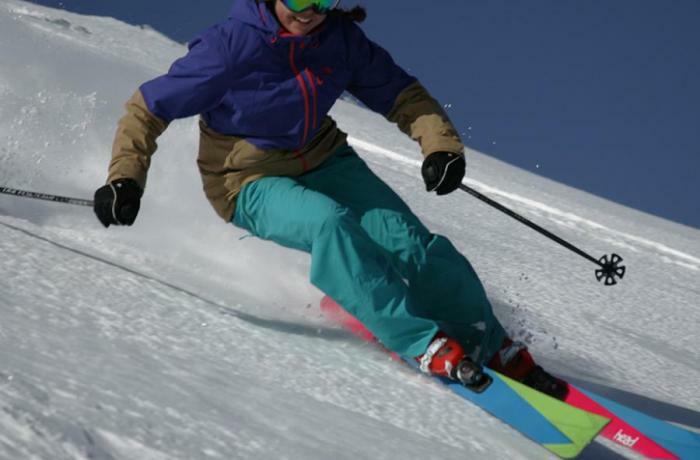 Note that the softer flex versions of these models can be ideal for less aggressive and lighter skiers with low volume feet. These are the most modern, highest performing boots on the market. Traditional here means that these boots are geared toward skiers who want to ski all day long using that uphill device called a chairlift. Generally these rides don't offer a hike-mode feature and they don't sacrifice downhill performance to shave a few ounces by using less transmissive plastics. The only compromises made here are for grippy walking soles (race-style frontside boots typically have solid, slippery soles) and possibly a more shock absorbing internal bootboard to dampen off-piste jolts. 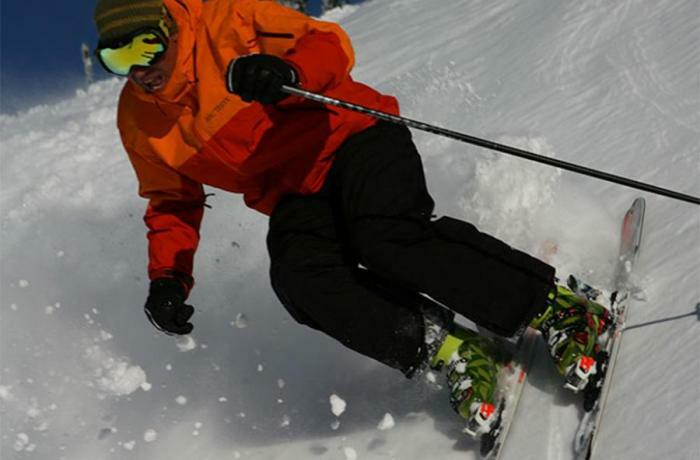 Hard-core skiers will use AMT boots to haul their skis and selves up many a boot pack or out an access gate, but skiers making the choice to stick with Traditionalist rides should be prepared to sacrifice hiking flip switch convenience for downhill accuracy. Designed with options in mind. The goal here is a do-it-all ride that does it as well as any boot on the down but with a bit more mobility for hiking or skinning when the opportunity presents itself. Most of these utility rigs have hike mode switches, lighter weight construction and sometimes upgrade sole options for rockered toes and tech binding compatibility (we tested all in this category with alpine soles). More cushioned, highly-moldable and well-insulated liner construction is an AMA group common feature. But do these mostly releasable cuff boots in the Adventure category really put a ski on edge as strongly as the best of the Traditionalist tribe? Yes, many do. 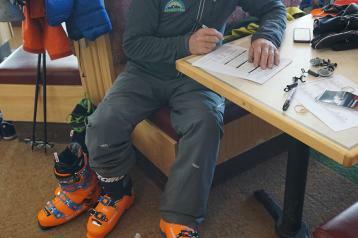 But skiers seeking boots here are willing to accept a minor trade of precision for easier, more comfortable hiking and hanging—minor being the key word. 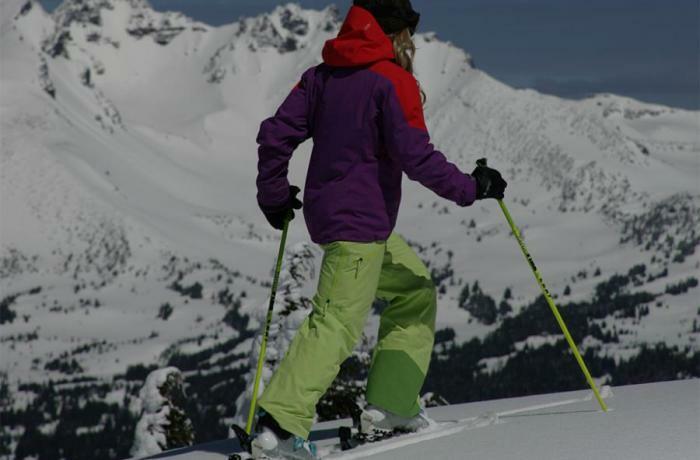 These boots are focused on true uphill travel and as such are not alpine DIN sole compatible. Rockered and lugged outsoles are the norm for smooth and secure hiking. 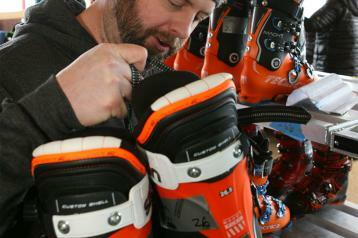 All we tested this year were tech binding compatible as well as usable in an AT frame binding. Hike modes here set the standard for ease of use and enable the largest fore-aft cuff rotation range of motion. 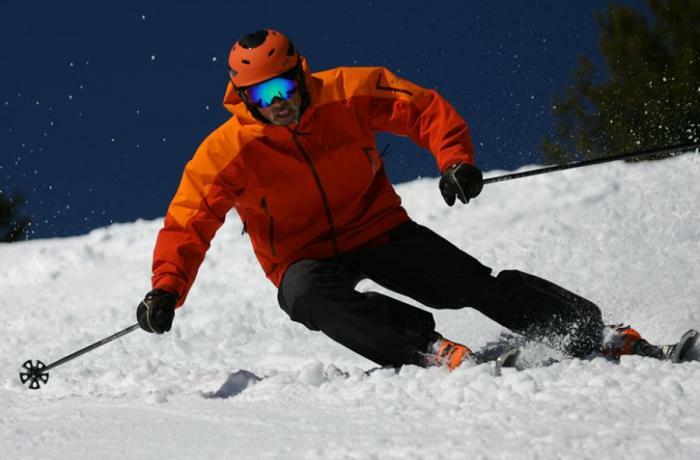 These boots are lightweight, utilizing thin-wall plastics like Pebax, Grilamid and carbon fiber, but still manage to leverage surprising downhill power. So What the Heck is a Soft/Value Boot?